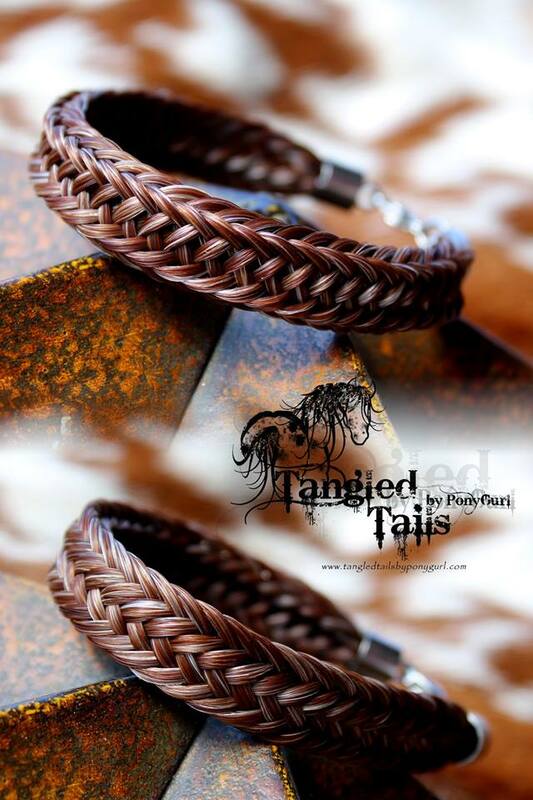 Capture the spirit of your horse with a unique keepsake made from their tail. 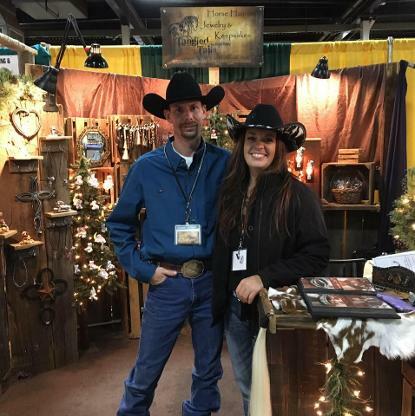 I strive to make your keepsakes as unique and personal as the horse it is made from. Please contact me with any questions you may have about customizing using pendants and or charms. The sky is the limit! Be sure to bring your horse hair! 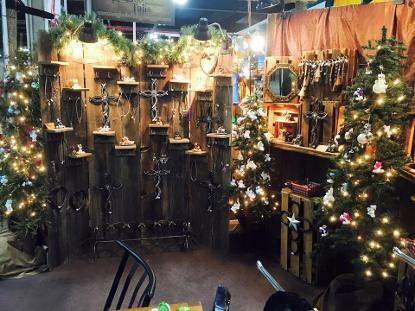 Cash paid Custom orders placed at the shows will receive a special discount! 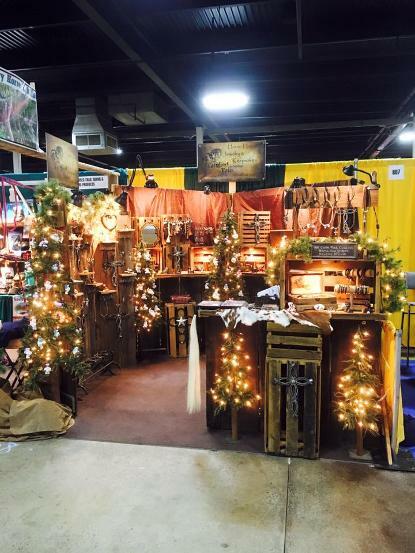 Come visit us at Equine Affaire, Columbus, Ohio and Quarter Horse Congress also in Columbus, Ohio! 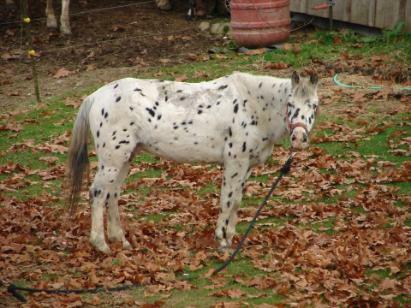 I have loved horses my entire life, and as long as I can remember I always wanted my own pony, so at the age of 6, when my mom asked me if I wanted my OWN pony, I of course could not contain myself! We drove that night in my grandpa's pick up truck with the tall side boards on and found the most AMAZING pony a little girl could ever ask for! He was a 12.2 hand leopard POA. So, we loaded him up in the back of the truck, and as I peered out the back window of grandpa's truck, I could NOT believe that this WONDERFUL pony was all MINE! 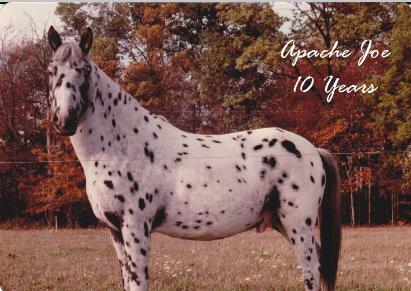 30 years later, I am fortunate enough to STILL be caring for my Apache Joe! He's 34 years old, blind in one eye, and his sight isn't all that great in the other and he's a little hard of hearing, but his heart is still made of gold! 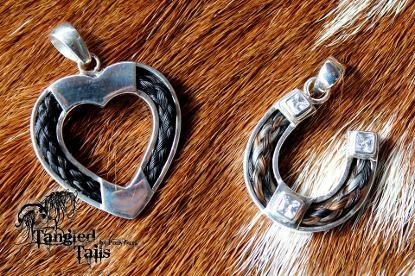 Because I know my time with him is short, I began designing unique custom keepsakes out of horse hair. I want to be able to preserve his memory when he's no longer by my side. 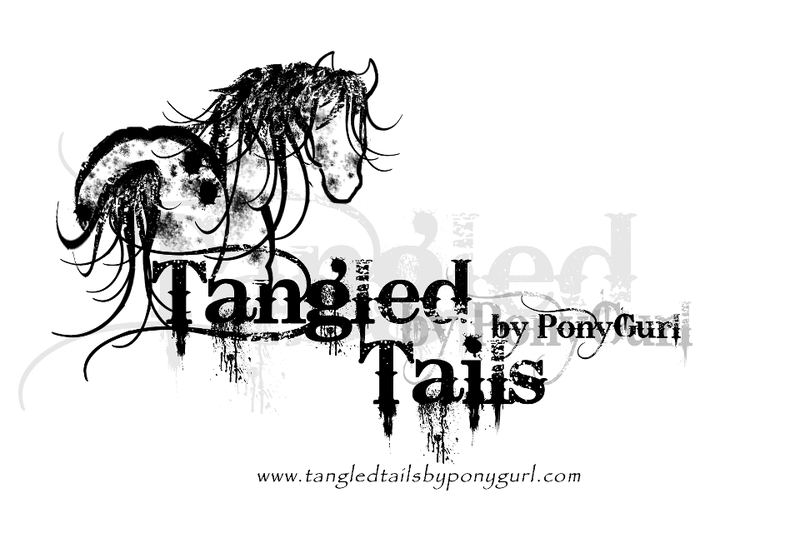 Therefore, Tangled Tails by PonyGurl was born. 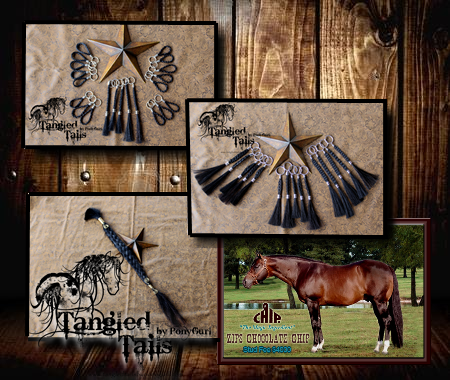 Here at Tangled Tails, you will find many unique designs to choose from. And if you don't see something, but have an idea, please, feel free to toss me an idea! I'm very flexible with my designs, provided I can get the findings needed. 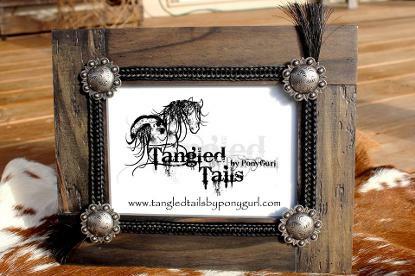 I want to make your piece as special to you as my pony's keepsakes are to me. With a heavy heart, at the age of 35, on February 23, 2013, Apache Joe crossed the rainbow bridge. I know he is running free once again without any pain or worries, but I miss him terribly. RIP Apache Joe. I will always love you. Apache Joe at 10 years old in 1988. I had already had him for 6 years in this picture. 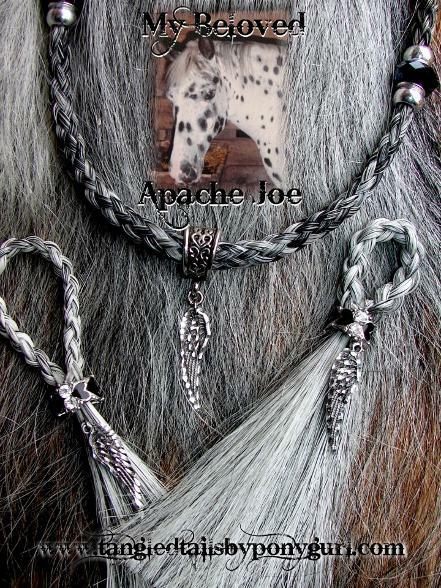 (Below)Another beautiful piece made from Apache Joe's tail hair. And left over hair made into a beautiful porcelain pendant. 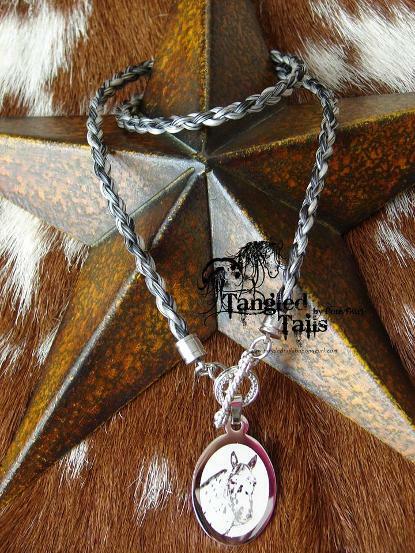 If you are interested in having a similar pendant made with the left over hair from your keepsake, please contact me and we can make arrangements to have it made. I do not personally make these, but can have one made for you. It was an HONOR and a PLEASURE to have been chosen to create beautiful keepsakes made from the famous Zips Chocolate Chip in 2017!!! 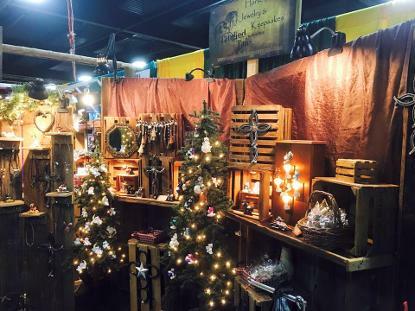 As a child, I followed him in the show circuit and was approached at Equine Affaire in Columbus, Ohio by Ann Myers, Owner of Chip, what a humbling moment that was for me. Thank you Ann for a wonderful opportunity! I hope I did Chip justice! 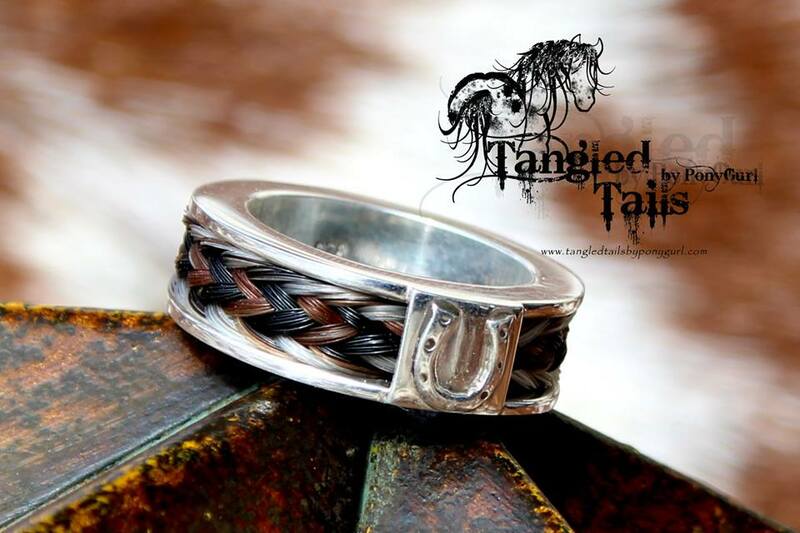 This is the most beautiful work of horsehair braiding you'll ever find!! There are no ends poking out anywhere and it is smooth, consistent and even. The braids are intricate and time consuming and Ponygurl does wonderful professional work! No one will be sorry for purchasing one of her pieces! 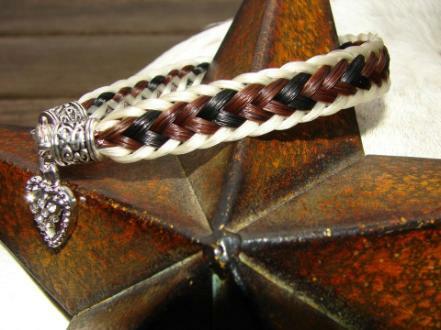 They are meaningful and wonderful keepsake treasures that you will be honored to wear! I received my bracelet in the mail a couple weeks ago and I can honestly say I've never been happier with a piece of jewelry in my life! I took the hair off of my horses tail the day before we had to put him down and it is a beautiful memory of him. 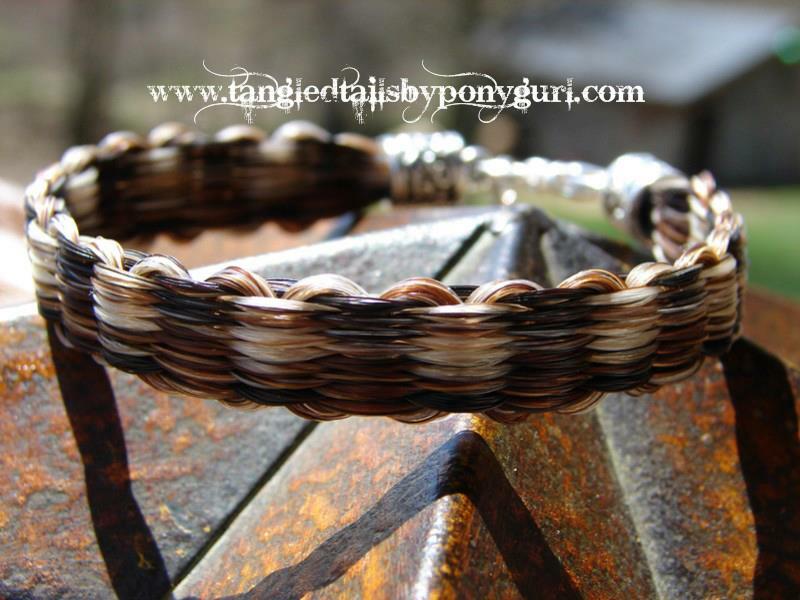 I had asked for a small detail added in to the bracelet and PonyGurl pulled it off wonderfully and it looks amazing! I have worn the bracelet every single day and it has not shown any signs of fraying or splitting which is great! The braid is beautiful and not one hair is out of place! I would(and have) recommended this site to every horse owner I know because whether alive or passed on it is a great tribute to your horse! Thank you so much for your beautiful work on Danny's keepsake of his gelding "Royal".. My son was over- whelmed as we all were.. I am sure you have blessed so many people this Christmas season.. Again thanks! I can't thank you enough for the beautiful work!! 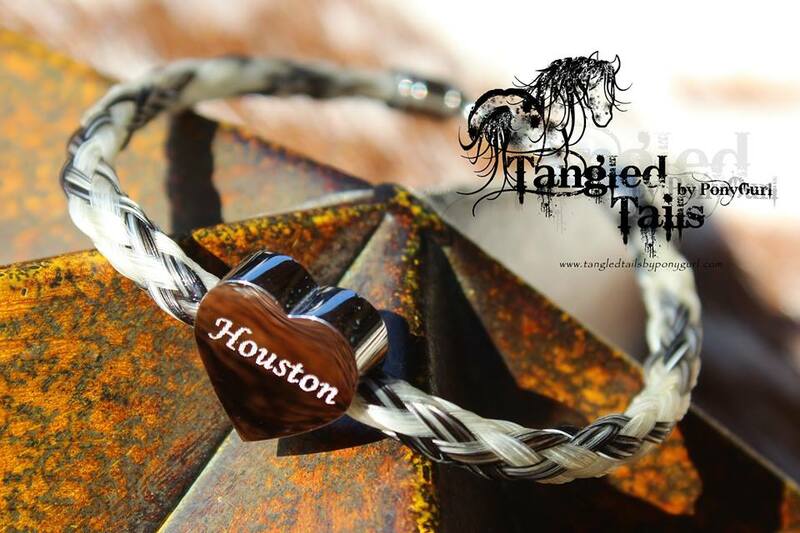 The bracelets are loved by everyone! I look so forward to having you make wonderful creations for me in the very near future. I hope you had a wonderful holiday and thank you for helping to make mine so special! 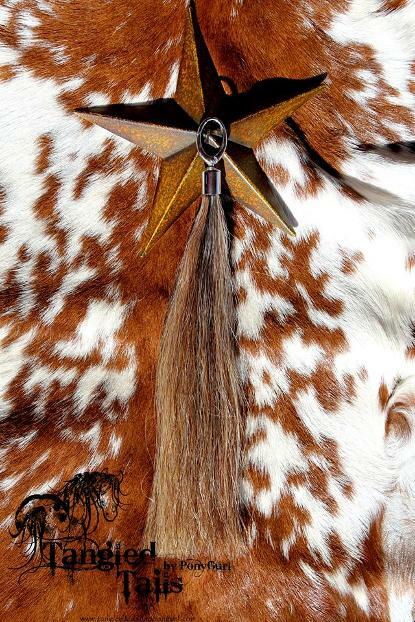 "I just received my necklace in the mail..thank you, thank you, thank you!..I ordered mine as a choker style and I can honestly say she followed the the necklace length to a " T " and it fits perfectly ..the concho hangs right where I wanted it to ..and I have a small neck.. Thanks again I absolutely love it!" 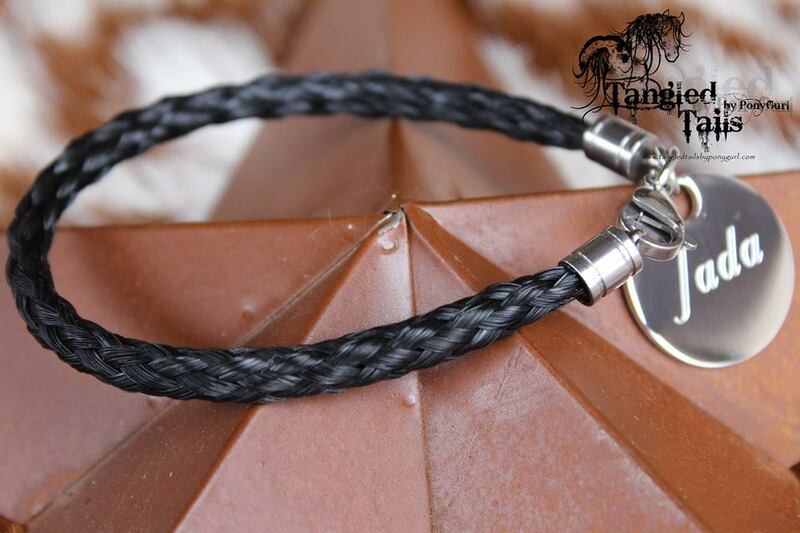 "I received my bracelet last week. Thank you so much for how quickly you finished and mailed it. I love it! It came out much better than I could have ever imagined! Thanks again!" "Just have to say THANK YOU for the beautiful necklace! I just got it today and couldn't be happier with it! I have to admit I had bought one for myself from someone else awhile back, and although it was WAY more expensive than yours, yours is MUCH prettier. I just may be ordering another one for myself through you lol. Thanks for getting it done in time and doing such a wonderful job on it!"